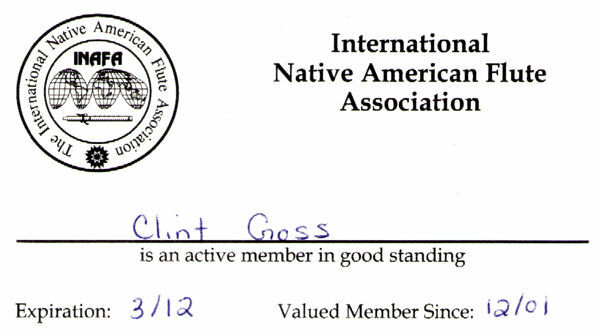 Note: In 2013, the organizers of INAFA created two separate follow-on organizations: Renaissance of the North American Flute Foundation and World Flute Society. Multiple streams of full-time Native American music. Mission statement: The Native American flute has a long tradition of cultural use as an instrument of personal expression, a means to honor the feminine principal, ceremonial uses, and to entertain at social gatherings. The overall goal of our RNAF workshop is to provide participants with practical knowledge, tools and methodologies, cultural and philosophical frameworks; a wealth of solid information, practical application, and artistic exploration in order to access this unique instrument in the context of personal self-knowledge through musical expression. Instructional style and technique relies heavily on principles of oral tradition, as well as innovative contemporary educational methodologies. Our intent shall always be to respect and hold in high regard the experiential traditions that are and will continue to become the on-going history of North America's indigenous flute. We shall continually acknowledge in all aspects regarding the Native American flute, its craftsmanship, performance, and derivations that serve to reinforce the importance of the musical instrument in the cultural realm both past and present. Incorporated in the Commonwealth of Virginia on May 8, 2013, as World Flute Society, Inc.